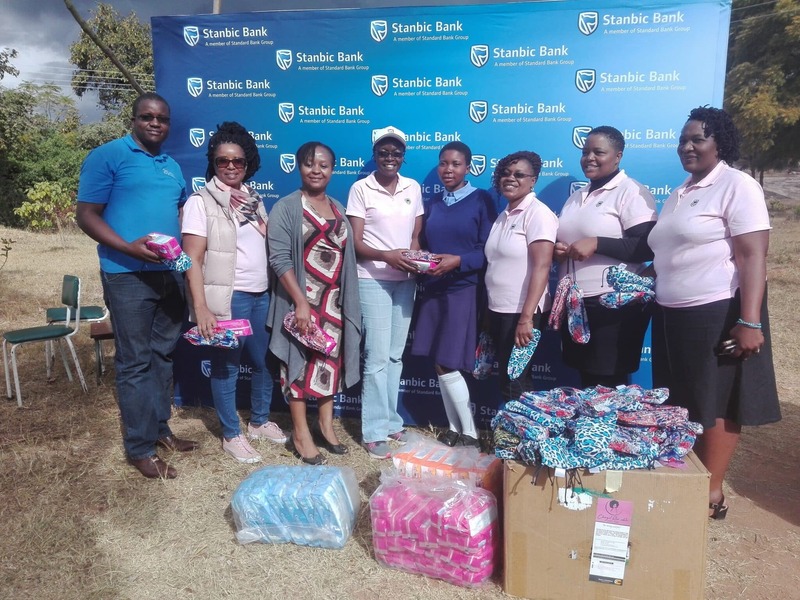 Stanbic Bank female employees in partnership with a local organisation, Talia Women’s Network yesterday donated 600 packets of disposable and reusable sanitary wear to young girls from Masembura Primary and Secondary schools in Bindura. Speaking at the handover ceremony, Talia Women’s Network Director, Saliwe Zakariya urged the young girls to freely communicate their menstruation challenges as well as involving men in the conversations. “We need to break it the stigma, people are not free to talk about menstruation and we need to keep talking about it and involve men in the conversation so they take responsibility to address the challenges,” said Zakaria. Stanbic Bank Head of Human Capital, Nyasha Mutsai commended the Stanbic Bank female employees for voluntarily supporting such a noble cause and went further to urge the girls to strive to excel in their studies so that they become champions of their own destinies. “We are grateful to Stanbic Bank female employees for using their own money for such a worthy cause. We are all too aware of how lack of sanitary pads can take away a girl’s confidence and this initiative gives us comfort that we have made a difference in their lives,” said Mutsai. Given that a sizable number of girls particularly in the rural areas often stop from going to school during their periods, the donation came in handy and the reusable pads will see the girls go for 18 months trouble free.